It’s hard for a school administrator to be a foolproof snow day predictor. As hard as you may try, as late as you may stay up watching the local news station for weather updates, you just can’t always get it right. And we all know what happens when you get it wrong, right? Let’s say you call a snow day and you wake up the next morning to find there isn’t even a dusting of the white stuff. In fact, there’s not even a trace of winter. Now you’ve forced the district to use a valuable snow day or worse: Add an extra day onto the end of the year. The students may be happy temporarily, but they’re mostly alone as parents and teachers both lament over the lost day. On the other hand, you can be a faulty snow day predictor and predict that school should go on when it definitely shouldn’t. Fast-moving, rapidly intensifying snowstorms are often to blame for that morning panic. This wakes everyone up early, disrupts the plans of students, parents, and staff, and even puts everyone at risk if they didn’t get the message before leaving the house. The bad news is that there isn’t some snow day predictor on the market that you can buy and install at your school. 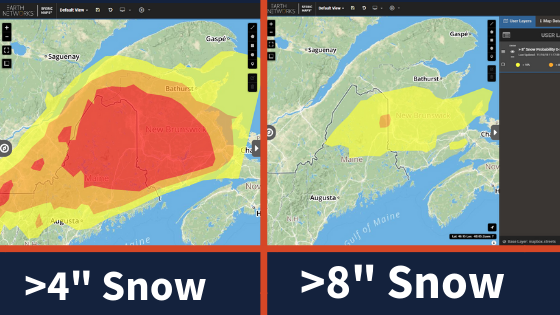 The good news is that there are weather intelligence tools on the market to give you the best shot at making the right snow day decision. 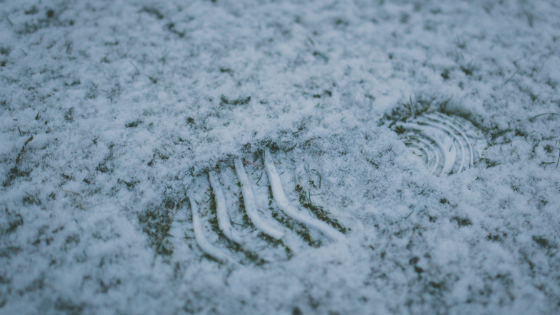 For your convenience, we’ve listed three of the top-used tools by school administrators to help them make the safest call when it comes to severe winter weather. Keep reading to see if you could use these tools at your school! A school weather station is the first tool an educational administrator needs to be a snow day predictor. Why does your school need its own weather station? You may check the weather on a mobile application or by watching the news but they get weather data from the same places. Normally, your weather source is your nearest airport because that’s where the nearest commercial grade weather station is. How close is your school to the nearest airport? We’re going to guess that you aren’t close enough. Weather conditions can vary from town to town. They can even be different in the same town based on factors like elevation. A school weather station ensures that you have accurate weather data because the weather data is coming from your exact location. It’s important to get a professional grade weather station, as well. There are weather “networks” out there that pull data from backyard weather stations but these are not regularly maintained or calibrated. That means there is no guarantee you’re getting accurate weather data. With a school weather station under your belt, you can at least gather real-time weather data to help you communicate snowfall accumulations, changes in temperature, and wind gusts. The second critical snow day predictor tool you need under your belt as a school administrator is a weather map. Weather visualization tools allow you to see systems in real-time and track the conditions that matter most to you. 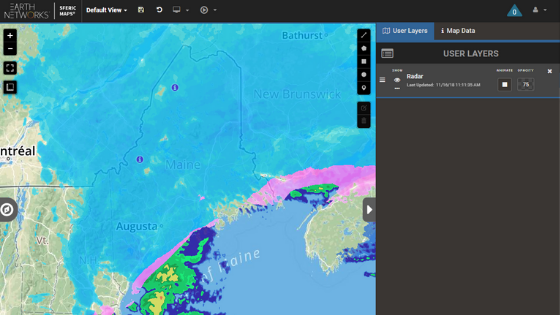 The best weather maps also allow easy ways to collaborate and share the weather views. A weather system map is most helpful for winter weather related decisions when it has the following layers. In order to make the right decision you need to know what’s going on in your area but also what’s coming. That’s where radar and forecast radar come into play. When you look at the radar, you can see what precipitation is happening in your area and the surrounding areas. You’ll see exactly where snow ends and a wintry mix picks up. You’ll also be able to get a better idea of where the storm is heading. But with forecast radar you get a more concrete look at the next two hours. When you animate this layer, you can see the system move and the precipitation types change (if applicable). This layer is one of the most concrete snow predictors around. You need this weather data set to see what the current snowfall amount forecast is for a number of different time ranges. Ours, for example, goes from 0-6 hours, 6-12 hours, 12-18 hours, and 18-24 hours. We recommend checking back often as these forecasts are updated frequently. If you want a different way of thinking about the possible accumulation, that’s where the probability layers come into play. The weather can change in a blink of an eye, but these probability forecasts try to help paint a reliable picture of what to expect. Here, you can narrow down what amount of snow you care about (4, 8, or 12 inches) and what time period you’re planning for as well (0-24 hours, 24-48, 48-72). The image below shows the difference between the probability of >4″ snow and >8″ of snow in a 24-hour period. The National Weather Service (NWS) has a special set of Winter Weather Alerts they use to communicate critical advisories and warnings. Some common Winter Weather Alerts include a Winter Weather Advisory and a Winter Storm Warning. 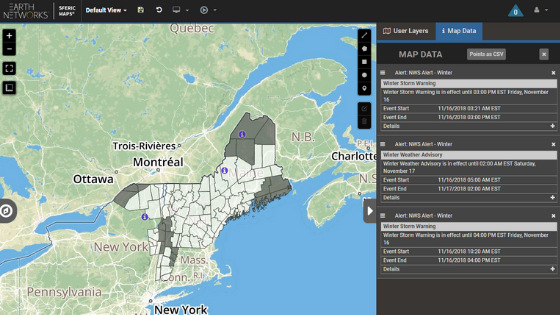 You can see those on our weather map – Sferic Maps – across the Northeast. These warnings are very helpful when it comes to planning because they include start and end times as well as details that make your job easier. You can get set up today with a weather map by clicking the button below. The third and final tool our clients find necessary when predicting snow day is an alerting platform. We know you probably don’t have time to sit around and check the weather all day. 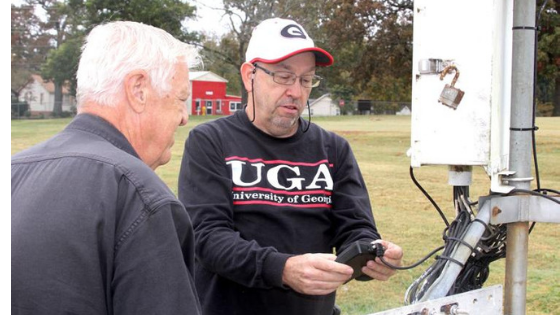 Weather equipment for schools are incomplete if they don’t send automatic weather alerts. 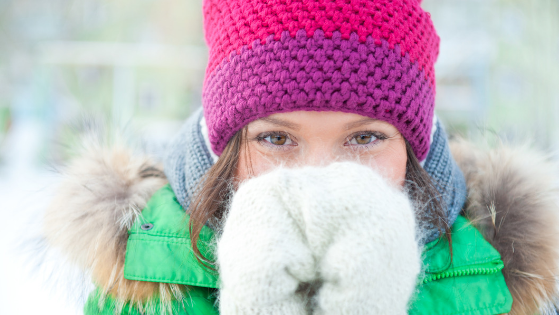 Automated alerts are the best way to stay in the know, no matter the weather condition. 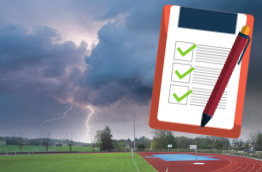 There are plenty of school alerting platforms out there but when it comes to the weather you should rely on alerts that are hooked up to your school weather station. It’s also important to use custom alerts. For example, a school in Connecticut probably needs alerts for a small proximity around the school and for a small amount of snowfall amount as well. On the other hand a school in the less-populated state of Vermont probably needs a larger radius knowing that students live further away from campus. They also probably don’t need alerts until a significant amount of snow falls, as most people in Vermont are accustomed to driving in the white stuff. You should also make sure your alerts can get to you where you’ll see them. Text, email, and mobile application alerts are all easy to use and effective. The results of making the wrong call during winter storms can be catastrophic for school districts. During a November snowstorm in 2018, schools in New Jersey were in hot water after sheltering students in place well after normal school hours as buses could not safely traverse the snow-covered roads. Being a snow day predictor is just one of the ways you get protect everyone during dangerous winter weather. You should also check that your buses are prepared with the right equipment, including food and snacks. Having an emergency plan that students, teachers, and parents are aware of is also a good idea. Once your alerts go off you should initiate your plan. We recommend practicing with staff while the weather is still sunny. Mother Nature can be unpredictable. That’s something your science teachers tell your students. But you can be prepared if you have the right tools.